As a result of his excellent record in Niederkaltenkirchen, Franz Eberhofer is promoted to Munich, the Bavarian capital of crime. It’s just as well his creature comforts are well catered for in the form of his grandmother’s care-packages. But he has hardly had time to settle into his new post before he finds himself coming face to face with inner-city criminals. His father’s car is stolen on his very first visit and although it turns up again before long, that’s only the start of the trouble. The corpse of a young Serbian woman is found in the boot, and once again Franz finds himself with his work cut out. 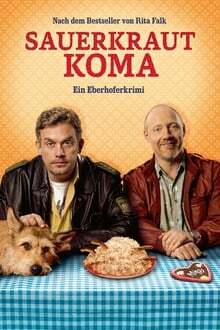 We don't have any reviews for Sauerkraut Coma.